A “hackathon” is a programming or engineering marathon in the field of Information Technology. The word comes from “hacking” and “marathon” put together. No worries though, there was no technological harm for anyone in this event. 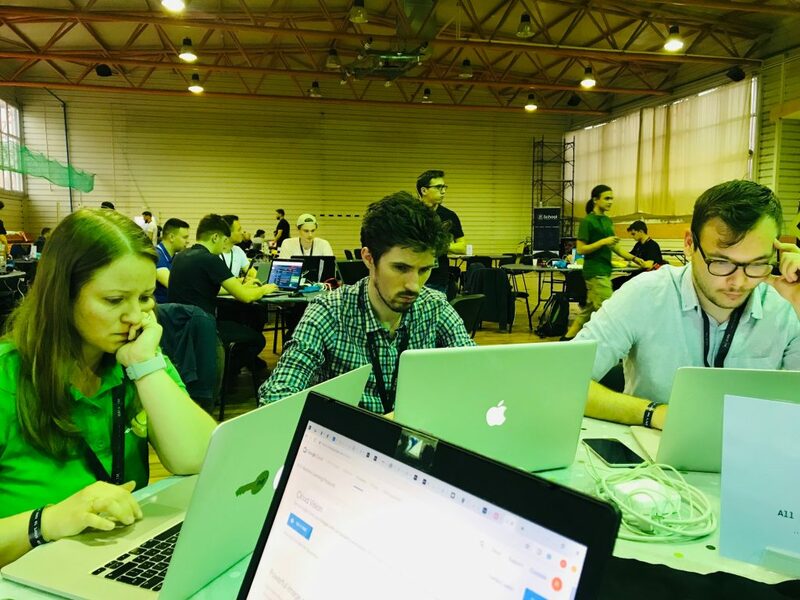 Although “hacking” has negative connotations, the idea of this national IT contest is to find creative solutions to develop a project in a limited amount of time. So it’s not about “hacking” as you know the concept, and there was surely no unauthorized intrusion into a computer or a network. 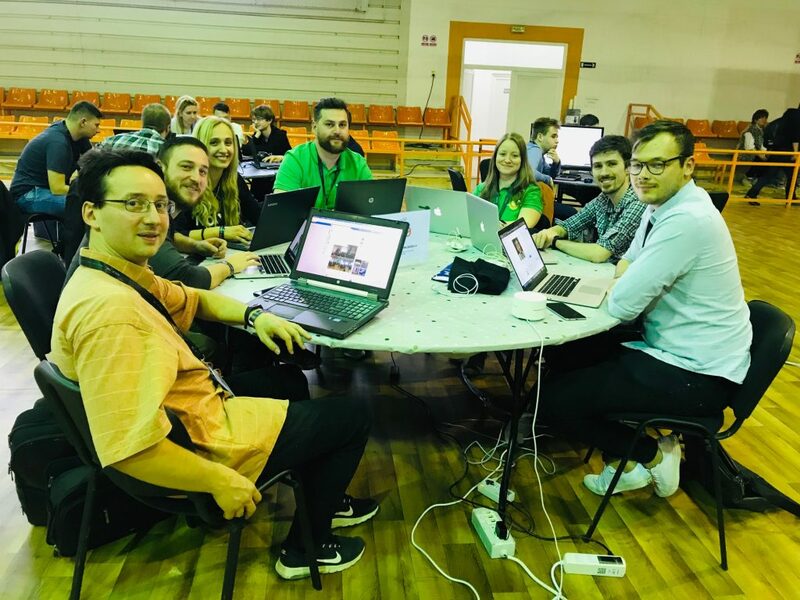 HackTM was just about teams of IT engineers, students and projects managers creating an app or a robot from scratch – in little more than 48 hours during the three-day event. A real challenge successfully fulfilled. 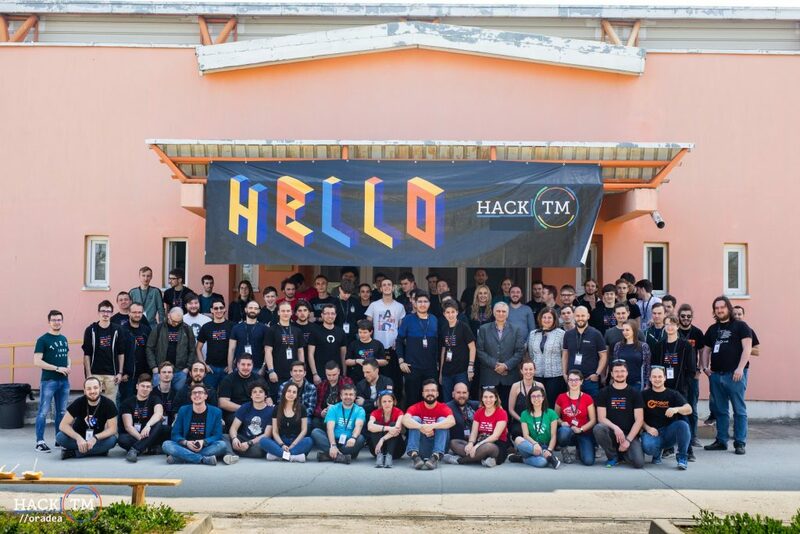 What happened at this edition of HackTM in Oradea? 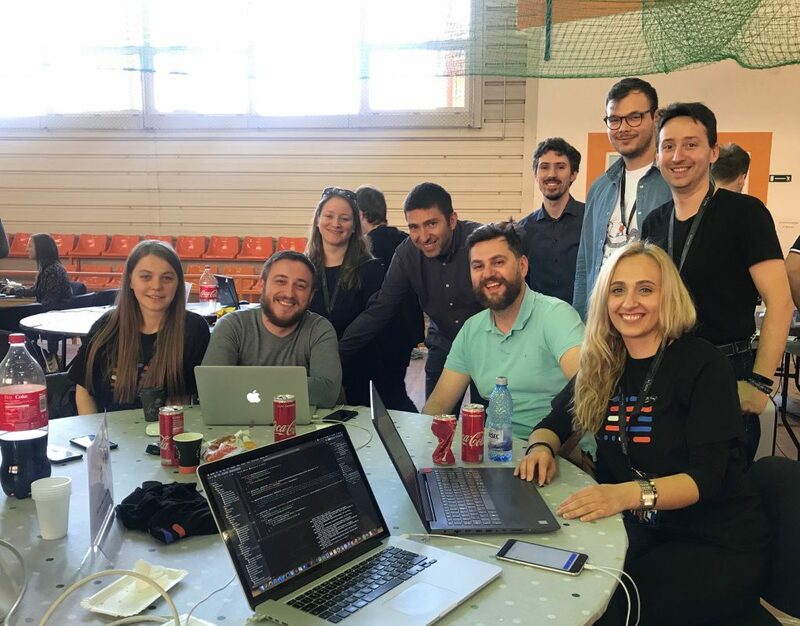 Being the first time HackTM – organized by BanatIT – came to Oradea, the organizers were encouraged by the people’s response. 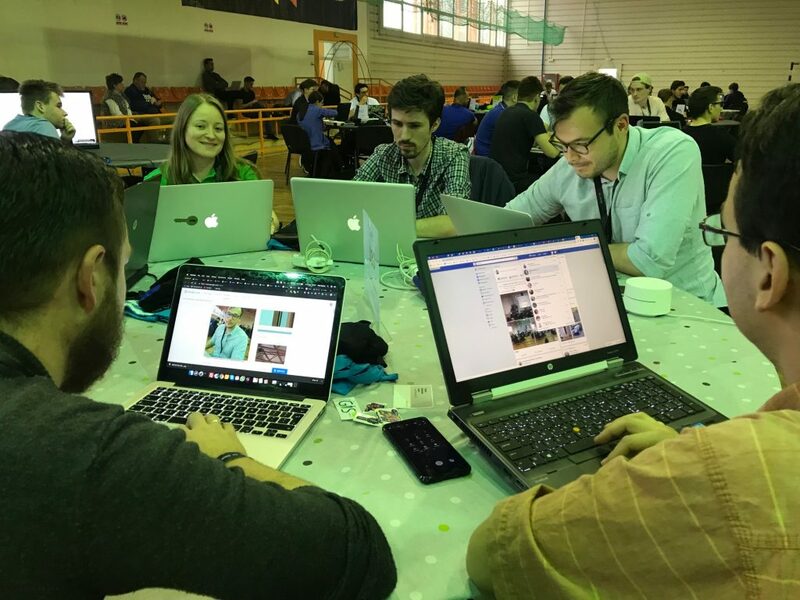 There were 98 participants in the contest, forming 22 teams which worked very hard for almost 3 days – pretty much day and night – in order to create the best software and hardware projects. 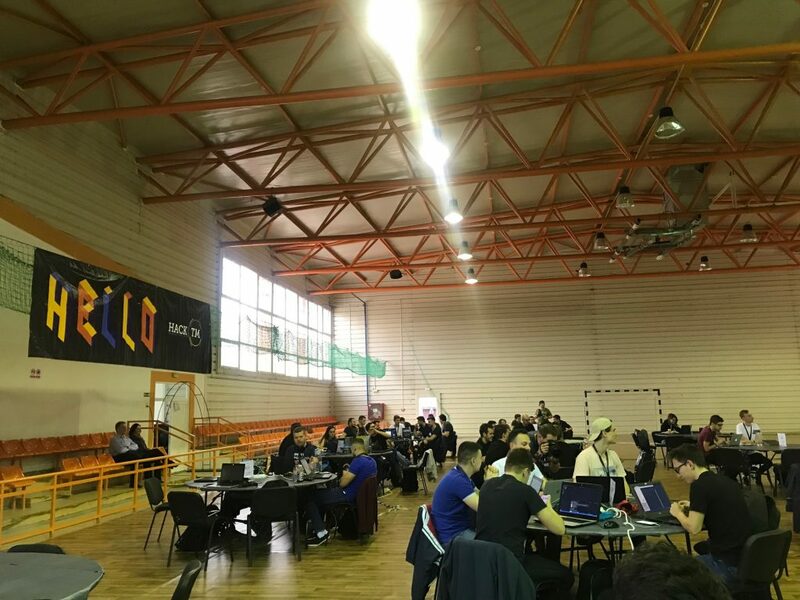 Some statistics about the participants: 89.9% men and 10.1% women; the area of expertise: 74% developers, 9% designers, 8% product managers, 4.5% QA, 3.5 devOps. 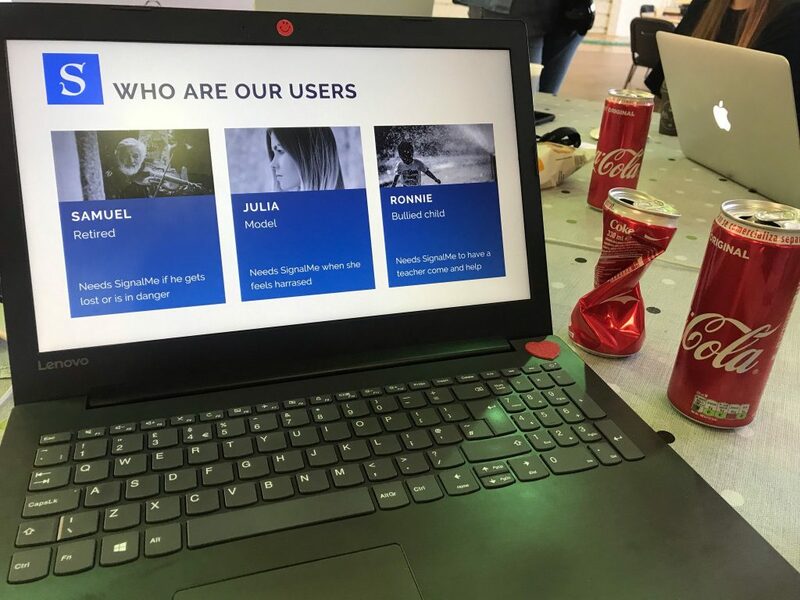 Some of the projects that were in the contest: robot providing farming solutions, device recording data after surgery, smart heating and welding, receipt scanning app, fitness app, automatic solar greenhouse, an app for small farmers to sell directly to the consumers, a sports booking platform, AR system – glasses that show you the specifications (model, top speed, cc, etc.) of the car in front of you, event aggregator for Oradea composed by a web crawler for gathering data, a website and a mobile app for finding the right event for you in the chosen area, etc. Mobiversal team members developed a mobile app at the event. We called it SignalMe. We thought about it as an instrument that makes you fearless, more protected and braver in dangerous situations. The goal of our app is to help people feel safer using simple voice commands and keywords. The users of SignalMe would be girls and women who need to feel safer, old people who are in danger or get lost, and also bullied children who’d need the help of an adult (teacher, parent and trusted people) to come and get them out of a difficult situation. Our app is integrated with Siri and would be used for asking for help in a manner that the aggressors wouldn’t know about it, but help would immediately come from other users of the app in your area. Another feature of the app is to encourage people to be more responsible citizens, being volunteers and offering help to others in need in their area. Technologies used: Swift, SiriKit, HealthKit and Geolocation. At the contest we’ve developed the app for iOS devices, planning to work on it also for Android in the future. Our team was represented at the event by: Claudia Fitero, Vlad Santa, Cristian Streng, Sebastian Sarca, Daniel Szasz, Emilia Pustan and Razvan Blaje. Kudos guys, it was a great team effort! For more pictures check out our Facebook page. Were we the winners? No. At least not for the prize. But we sure had a lot of fun working on this project, winning experience and enjoying a great time of team building and networking, plus having produced a mobile app which we can finetune and launch on the market. Not to mention the free food. And lots of coke and coffee running through our veins. The guys in our team stayed up until early morning hours, went home to sleep for a couple hours and got back to work. Lots of passion, ambition and responsibility were demonstrated. It’s worth mentioning that there were some people from other teams, who wouldn’t want to waste precious minutes on the road, so instead of going home to recharge a bit, they slept right there in the gym on mattresses or benches provided by the organizers. Sleep was a rare commodity this weekend, but it was worth it. Who won though, you might be wondering. The big winner was a team that did a pretty impressive project involving a drone and a transmitter. This is how they described their project: “The basic idea of the design is the combination of a location device with a long range communication system put together on a carrier device. The localization device is a GPS module. The long-range communication device is a radio module based on LoRa technology. LoRa technology has the benefits of extremely long range communication even with low transmit power with the drawback of low bitrate, but considering the small SOS message contents, this is not an issue for us. The carrier device solution can be anything from a small drone to a balloon or a pyrotechnic propulsion system combined with a parachute to maintain the transceiver in the air for enough time for the SOS to be successfully transmitted (TX retry may be needed). What were my co-workers saying at the end of this event? Some of the initial feedback went like: “this was quite an experience!”, “we should get some rest and catch up on sleep, but then let’s do it again soon”, “this was excellent”, “we want more!”, etc. All positive, enthusiastic comments. 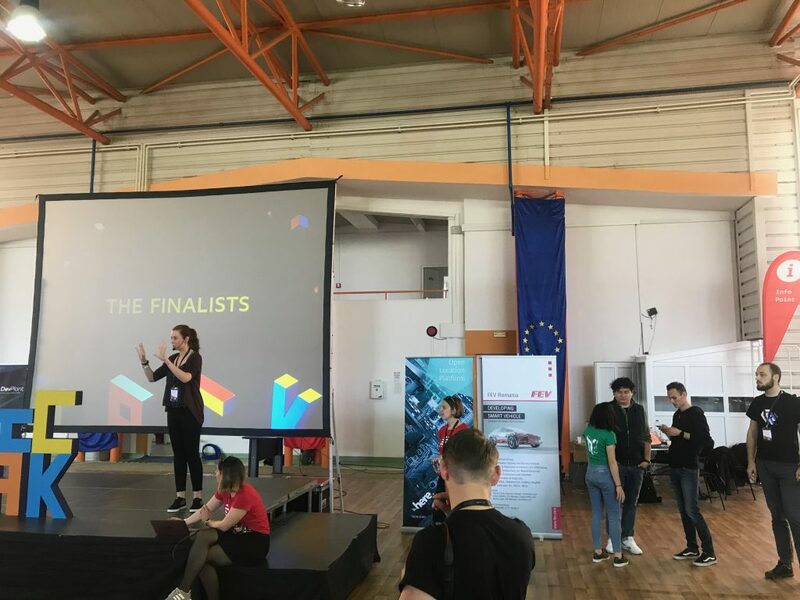 We’d like to thank the organizers for choosing Oradea and putting together this awesome technology contest. Thank you BanatIT & wishing you continued success with your future national and international events!